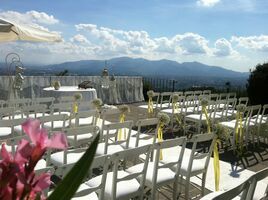 A fantastic venue for those wishing to have an intimate wedding celebration with a fabulous view of the olive groves and vineyards. 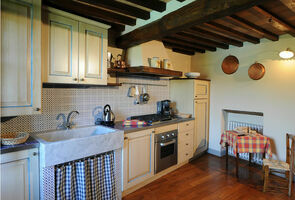 Casale de Pasquinelli is a delightful group of 4 stone cottages, each with its own kitchen and living room. 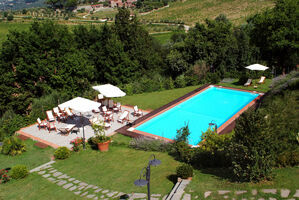 The cottages share a large sunny pool as well as an outdoor pizza oven, BBQ and laundry room. 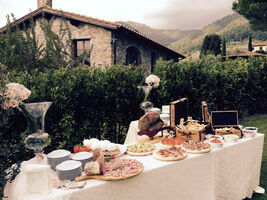 To host a wedding at Casale de Pasquinelli all four stone cottages sleeping 30+5 people must be rented out. For those in need of more accommodation, completing the property there is a charming farmhouse that sleeps 5 people with its own private pool just below the cottages. Nearby, there are plenty of bed and breakfast facilities for those extra guests wishing only to stay the weekend. 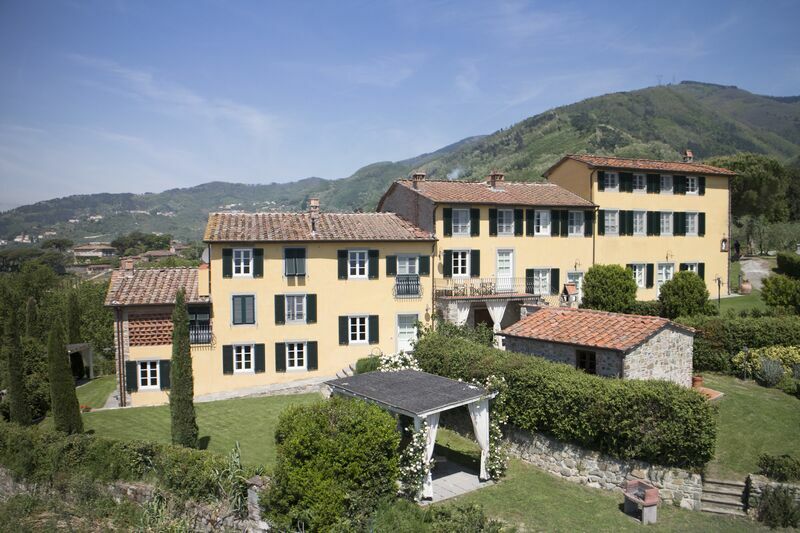 The grounds of Casale de Pasquinelli are intelligently laid out so that each moment of the day can be held in a different charming location. 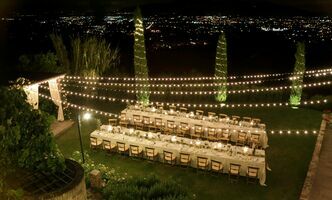 One can host an intimate wedding ceremony al fresco on one of the many panoramic terraces, then to the gazebo for cocktails, followed by dinner in the wedding garden and finally dancing on the anterior terrace. 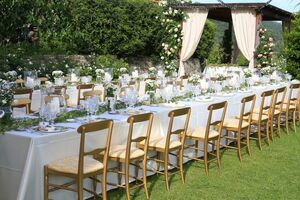 Indoors, the Casale can host up to 100 guests on your wedding day while outdoors up to 120 guests can be seated around the pool area. Ask about this property soon, it books up quickly!